Front Row: (Left to Right) Cathal Burke, Cian Kelly, Michael Gleese, Kenneth Burke, David Burke, Kayla Burke (mascot), Anthony Kelly, Enda Tannion, Matthew Tannion (mascot), Darragh Burke, Sean Skehill, Sean Burke, Colin Fallon, Gary Moylan, Derek Kelly, Adrian Sherry. 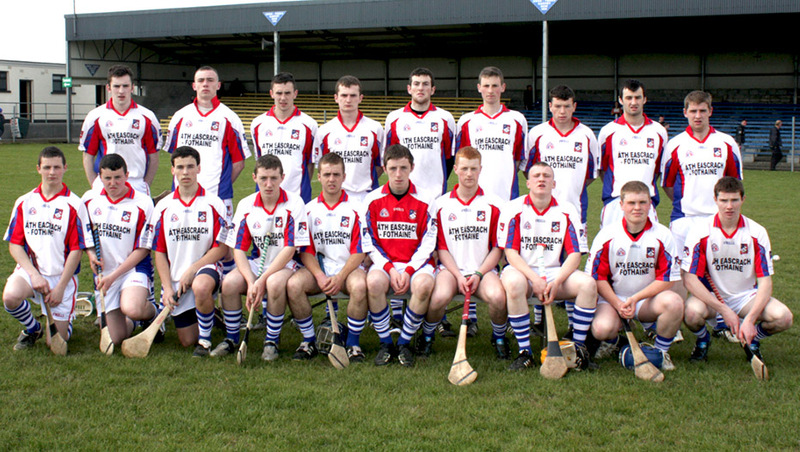 Back row: (Left to Right): Gerald Murray, Thomas Mitchell, Eanna Burke, James Barrett, David Callanan, Bernard Burke, Conor Cooney, Patrick Skehill, Gerald Kelly, Brendan Farrell, Robert Murray, Richard Murray, James Regan, Ian Kelly, David Sherry, Shane Cooney, Tony Keely, Donal Cooney. Front Row: (Left to Right) James Daly, Alan Lawless, Paul Kilkenny, Conor Daly, Declan Connolly, Shane Concannon, Clement Earls, David Concannon, Keith Kennedy, Niall Earls, Tomas Madden, Eanna Ryan, Andrew Daly, Padraig Daly. Back Row: (Left to Right) David Broderick, Darragh Cooney, Conor McDonagh, James Coen, John McDonagh, Eanna Daly, David Skehill, Paul Madden, Nigel Daly, Paul Concannon, Niall O' Kane, Aidan Heavey, John Duane, Fergal Duane, Peter Monaghan and Iomar Creaven (Capt). Front Row: Peter Murphy, Stephen Pierce, Gordon Glynn, Kieth Daniels, Peter Quinn, Peter Whealan, James Regan, Sean Mahoney, Tommy Kelly, Darren Reilly and Sylvie Linnane. With the panel are mascots Eoin Kelly, Craig Griffin, Rian Ward, Liam Mahony, Niamh Kelly and Ethan Linnane. 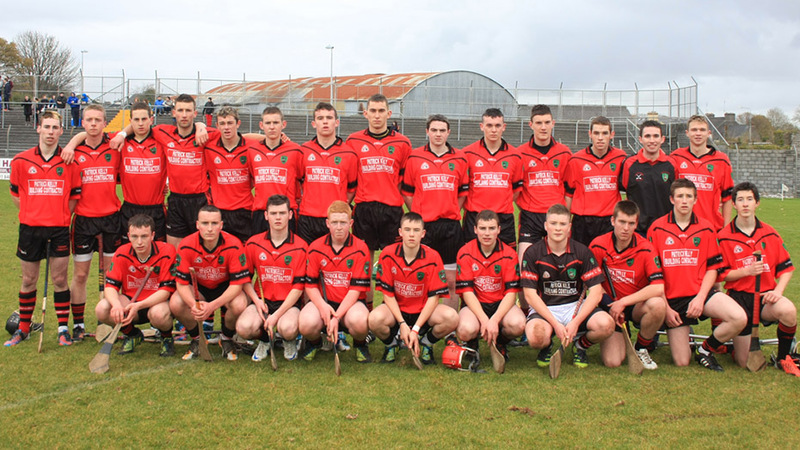 Back Row, left to right: Greg Kennedy, Conor Quinn, Mike Haverty, Gary Rooney, Stephen Morgan, Sean Hannon, Daniel Sweeney, Stephen McCormack, David Clarke, Shane Cusack, James O Dea, Ciaran Fahy, Eamon Maher, Martin Lohan, Alan Cormican and Daniel Quinn. Front row: (left to right) John Greaney, Padraic Tobin, Shane Dolan, Conor Farrell, Enda Clarke, Colin Rooney, Michael Farrell, Mark Monaghan, John Martin, Tom Davey, Brian Waldron. Back row: (left to right) Niall Donohue, Davis Farrell, Paul Cannon, Brian Dolan, Stephen Hynes, Patrick Prendergast, Jamie Ryan, Cathal Greaney (capt), Mark Horan, Jack Raftery, Cian Larkin, Cillian Reidy and Keelan Cullinane. Front Row: (Left to Right) Ross McMahon, Cathal Kelly, Luke Page, Mark Hooban, Kevin McHugo, Oisin Cooney, Cathal Tuohy, Eoin Hickey, Alex English, Jamie Flannagan. 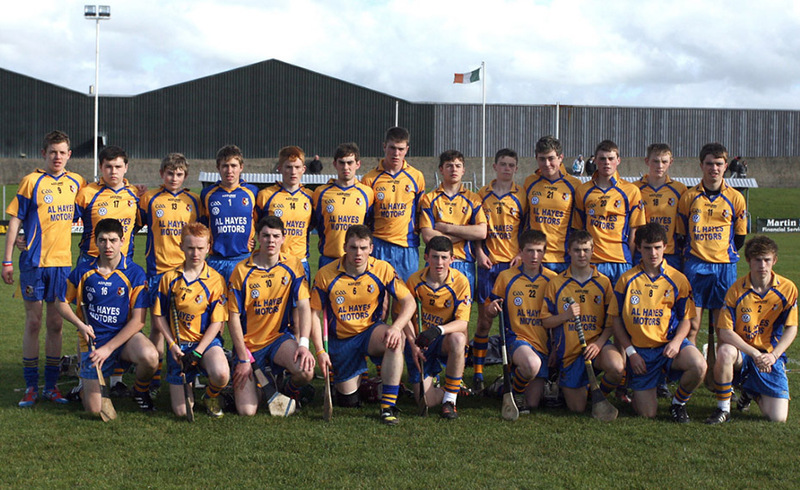 Back Row: (Left to Right) Cian Noonan, Andrew Moran, Conor Nevin, Peter English, Eoin Forde, Conor Gardiner, Cathal O' Byrne, Jason Flynn, Colin McCormack, Aaron Conroy, John Mullen, Cathal Leonard, Christopher Moloney, Stephen Keon. Front Row: (L to R) Derwin Costello, John Haverty, John Mannion, Colm O'Brien, Padraig Scanlon, Jarlath Fahy, Simon Roche, Fintan Finnerty, Mark Costello, Jack Ward, Brian Fahy. 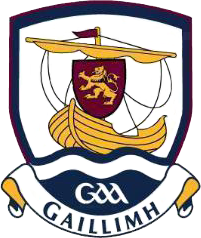 Mascot Cillian Roche. 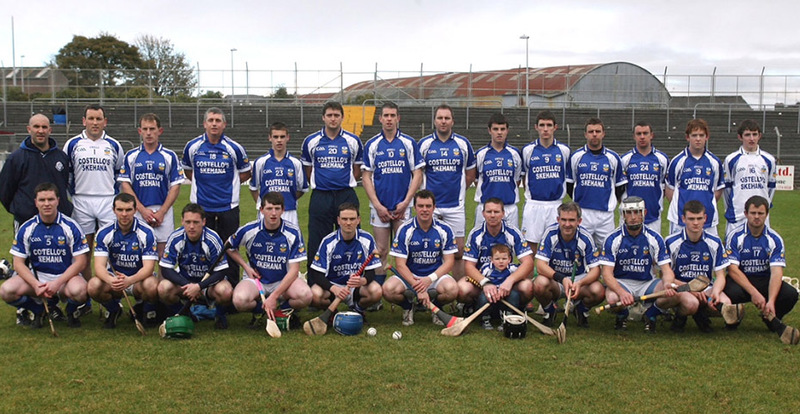 Back Row: (L to R) Cathal Daly, Tomás Hansberry, Brendan Costello, Martin Connolly, Paul Cooney, James McHugh, Joey Glynn, Tomas Costello, John Gormally, Niall Carty, Eoin Quinn, John Ward, Conor Mc Hugh and Liam Carty. Front Row: (Left to Right) Liam O'Connor, Cian Freyne, Cormac Dervin, Peter Birch, Trevor Barrett, James Birch, Luke Cosgrove, Emmet Brennan (Capt) Daragh Butler, Cathal Mannion. 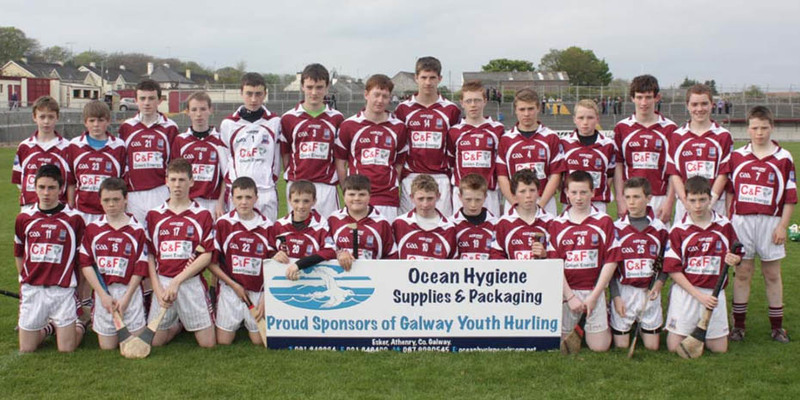 Back row: (Left to Right) Micheal Whyte, John Sammon, Shane Pender, Fergal Mulryan, Padraic Mannion, John Finnerty, Colm Freyne, Stephen Smyth and David Harney. 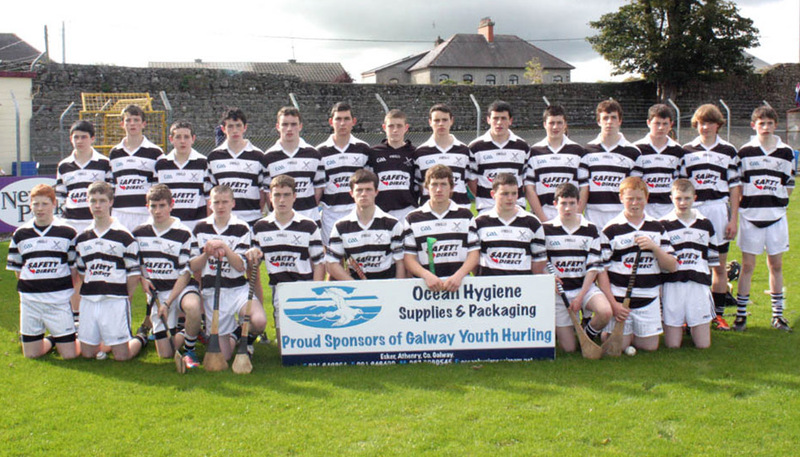 Front row: (Left to right) Shane Rooney, Ethan Horrigan, Padraig Muldoon, Owen Treacy, Donal Donoghue, Daniel Geraghty, Darren Dillon, Conor Barry, Simon Curran. Back Row: (Left to right) Padraig Corcoran, Niall Royston, Sean Heagney, Niall Concannon, Jamie Flanagan, James Coughlan, Sean Tuohy, Colin Burke, Cormac Tully, Eddie Maloney, Brian Muldoon, John Madden and Ronan O'Meara. Front Row: (L to R) Robbie Kenny, Andrew Hurney, Carl McDonagh, Dylan Curran, Mikey McDonagh, Calem McGuinness, Ryan Fox, Cian Connell, Anthony Faherty, Conor Noone, Micheal Bohan, Donal McDonagh, Eanna Kelleghan, Michael Lalor, Aodhan Claffey. Back Row: (L to R) James Donohue,Evan Carr,Evan Hurney, Paul Wynne, Kevin O'Donovan, Ciaran Barbour, James Wynne, Jack Kelly, Ronan Higgins, Conor Kyne, Kurtis Kyne, Eanna Malone, Shane Richardson, Fintan Kelly, Padraig Kilduff, Anraoi Whyte, Lairgnean McDermott and Michael Lalor. Front Row: James Murphy, David Cullinane, Eoin Whelan, Ronan Duffy, Conor Shaughnessy, Sean Linnane, Richard Doyle(Capt), Keith Herewood, Cathal Whelan, Shane Dunleavy, Michael Naughton. Back Row: Conor Philips, Cian Mullen, Stephen Doyle, Cillian Hurney, Ultan Hurney, Jamie Holland, Brian Callanan, Sean Loftus, Padraig Kearney, Dara Joyce, Noel Shaughnesyy, Gearoid Linnane, Shane Morres, Mark Fahy.